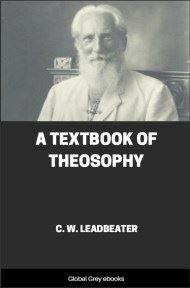 Chapters include: Theosophy And The Masters; General Principles; The Earth Chain; Septenary Constitution of Man; Body and Astral Body; Kama — Desire; Manas; Of Reincarnation; Reincarnation Continued; Arguments Supporting Reincarnation; Karma; Kama Loka; Devachan; Cycles; Differentiation of Species — Missing Links; Psychic Laws, Forces, and Phenomena; and, Psychic Phenomena and Spiritualism. 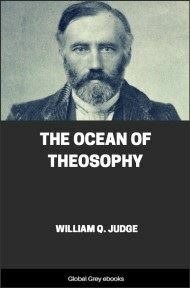 Theosophy is that ocean of knowledge which spreads from shore to shore of the evolution of sentient beings; unfathomable in its deepest parts, it gives the greatest minds their fullest scope, yet, shallow enough at its shores, it will not overwhelm the understanding of a child. It is wisdom about God for those who believe that he is all things and in all, and wisdom about nature for the man who accepts the statement found in the Christian Bible that God cannot be measured or discovered, and that darkness is around his pavilion. Although it contains by derivation the name God and thus may seem at first sight to embrace religion alone, it does not neglect science, for it is the science of sciences and therefore has been called the wisdom religion. For no science is complete which leaves out any department of nature, whether visible or invisible, and that religion which, depending solely on an assumed revelation, turns away from things and the laws which govern them is nothing but a delusion, a foe to progress, an obstacle in the way of man's advancement toward happiness. Embracing both the scientific and the religious, Theosophy is a scientific religion and a religious science. 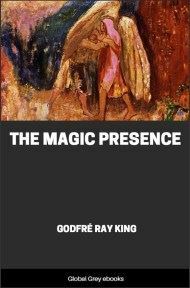 That man possesses an immortal soul is the common belief of humanity; to this Theosophy adds that he is a soul; and further that all nature is sentient, that the vast array of objects and men are not mere collections of atoms fortuitously thrown together and thus without law evolving law, but down to the smallest atom all is soul and spirit ever evolving under the rule of law which is inherent in the whole. 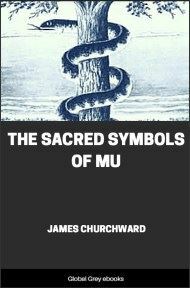 And just as the ancients taught, so does Theosophy; that the course of evolution is the drama of the soul and that nature exists for no other purpose than the soul's experience. 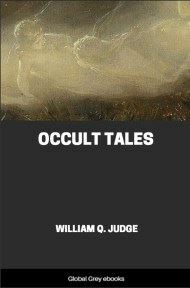 The Theosophist agrees with Prof. Huxley in the assertion that there must be beings in the universe whose intelligence is as much beyond ours as ours exceeds that of the black beetle, and who take an active part in the government of the natural order of things. 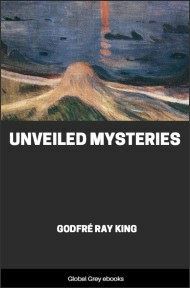 Pushing further on by the light of the confidence had in his teachers, the Theosophist adds that such intelligences were once human and came like all of us from other and previous worlds, where as varied experience had been gained as is possible on this one. We are therefore not appearing for the first time when we come upon this planet, but have pursued a long, an immeasurable course of activity and intelligent perception on other systems of globes, some of which were destroyed ages before the solar system condensed. This immense reach of the evolutionary system means, then, that this planet on which we now are is the result of the activity and the evolution of some other one that died long ago, leaving its energy to be used in the bringing into existence of the earth, and that the inhabitants of the latter in their turn came from some older world to proceed here with the destined work in matter. And the brighter planets, such as Venus, are the habitation of still more progressed entities, once as low as ourselves, but now raised up to a pitch of glory incomprehensible for our intellects. It would be subversive of the ends they have in view were they to make themselves public in the present civilization, which is based almost wholly on money, fame, glory, and personality. For this age, as one of them has already said, "is an age of transition," when every system of thought, science, religion, government, and society is changing, and men's minds are only preparing for an alteration into that state which will permit the race to advance to the point suitable for these elder brothers to introduce their actual presence to our sight. They may be truly called the bearers of the torch of truth across the ages; they investigate all things and beings; they know what man is in his innermost nature and what his powers and destiny, his state before birth and the states into which he goes after the death of his body; they have stood by the cradle of nations and seen the vast achievements of the ancients, watched sadly the decay of those who had no power to resist the cyclic law of rise and fall; and while cataclysms seemed to show a universal destruction of art, architecture, religion, and philosophy, they have preserved the records of it all in places secure from the ravages of either men or time.